We've just started compiler design as part of the Language Translators subject at college and a practical aspect of it involves using LEX and YACC for Grammar Lexical Analysis and Parser Generation. Since LEX and YACC are both originally developed for the *nix OSes (read: Linux), there was a sudden rush of classmates downloading linux distros (Fedora being the default choice as it's used on lab systems). In many cases, people actually downloaded entire distro DVDs just for LEX/YACC! NOTE: When people say they use LEX and YACC, almost always, what they mean is FLEX (Which is an alternative to Lex) and BISON (which is part of the GNU project) /BYACC respectively. 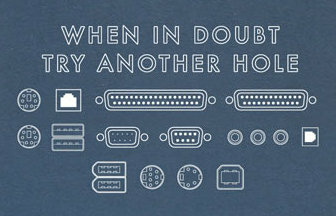 Sticking with the "When in doubt, try another hole" philosophy, I just googled around a little and came up with a much easier solution. If you do not get the output as above, restart your system and try again. Now just run the program (through the command prompt itself). For and even number input, it prints out "EVEN NUMBER" and exits and "ODD NUMBER" is printed for odd numbers. A simple example, but I guess it gets the point through! PS The GnuWin project is a superawesome project which "provides ports of tools with a GNU or similar open source license, to Windows". The number of packages that they've ported to Windows is amazing. Do check it out. Update: Here's a Zip file of FLEX, BISON and the Source Code used in this post. Nice article bro, I really like your technical articles, but why not just use Cygwin and then build the sources? to exp.y, right before %token EVEN ODD in order to have an error free compilation. 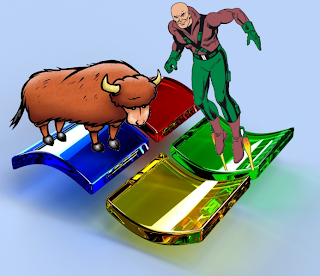 i have installed the flex,bison,dev-cpp in windows xp. icopied the progrm from the example given and saved as lex.l and kkk.y. but while running in command prompt it shows the error of flex:can't open lex.l and also same for bison.plz clarify me. How can you i use lex and yacc in visual c++ 2010? I love you man! thanks a lot for keeping it simple! i am getting this error too! operable program or batch file." If you need help with installing a compiler, try MinGW out. Or maybe try TDM-GCC instead. Thanks man this article saved me from a lot of trouble. when i m writing in cmd to Compile the Flex program,... flex exp.l the message appears "flex can't open the 'exp.l'"
same message for Bison, What to do??? A very well written article. Keep up the good work,Sir! GREAT WORK .IT WAS REALLY VERY HELPFUL TO LEARN LEX AND YACC PROGRAM THROUGH THIS BLOG.THANKS.